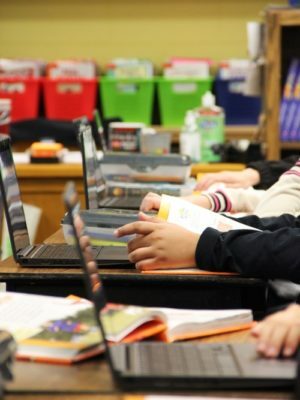 Lincoln Public Schools believes technology extends the ability to establish, explore, and enhance connections that support learning essential to achievement, and increase productivity essential for greater effectiveness. Student Learning: Improve learning for all students through engaging experiences that embed technology across all curricular areas. Effective Teaching: All educators embed technology in their daily practice to facilitate high levels of student engagement and learning. Support for Teaching & Learning: Technology is routinely used to increase the efficiency and effectiveness of administrative and instructional processes. Resources for Teaching & Learning: Align the deployment of sustainable resources with the district’s vision for student learning supported and accelerated by technology. Each year, LPS staff, students, and parents have the opportunity to participate in a brief LPS CLASS Plan Survey to provide feedback on how technology is being used to support learning. Survey data is used by LPS to evaluate implementation, align district-level professional learning efforts, and inform district-wide technology purchasing decisions. Additionally, schools can use the LPS designed “Blueprint for Assessing Technology Skills (BL@TS)” which allows teachers to self-assess their technology skills and awareness. Building administrators receive reports with anonymized data that can inform building-level decisions regarding staff development needs.